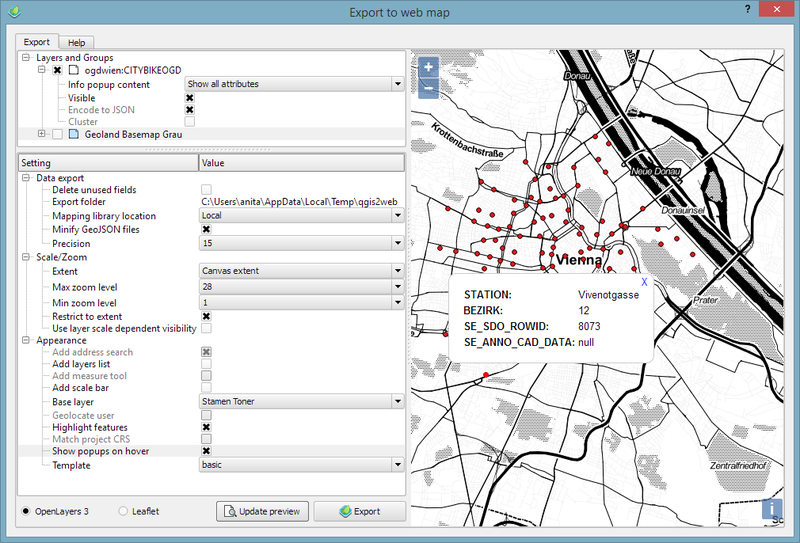 In Publishing interactive web maps using QGIS, I presented two plugins for exporting web maps from QGIS. 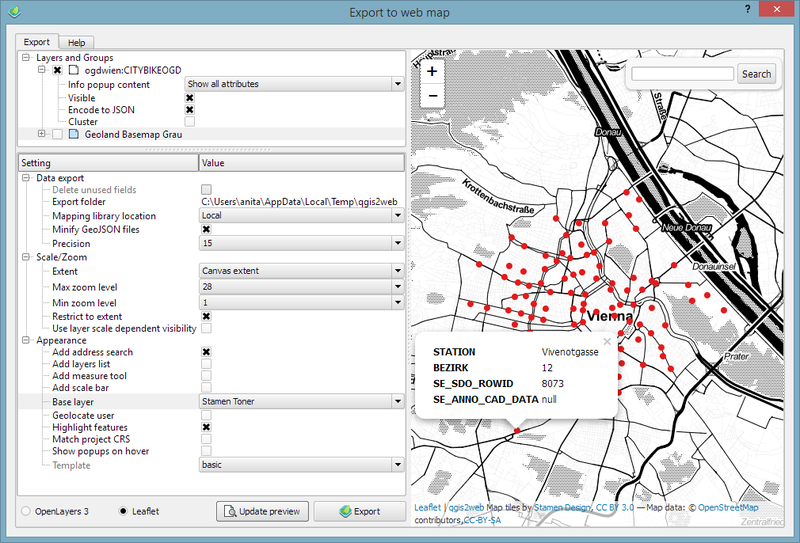 Today, I want to add an new member to this family: the qgis2web plugin is the successor of qgis-ol3 and combines exports to both OpenLayers3 as well as Leaflet. The plugin is under active development and currently not all features are supported for both OpenLayers3 and Leaflet, but it’s a very convenient way to kick-off a quick webmapping project. I’ll continue testing these plugins and am looking forward to seeing what features the future will bring. 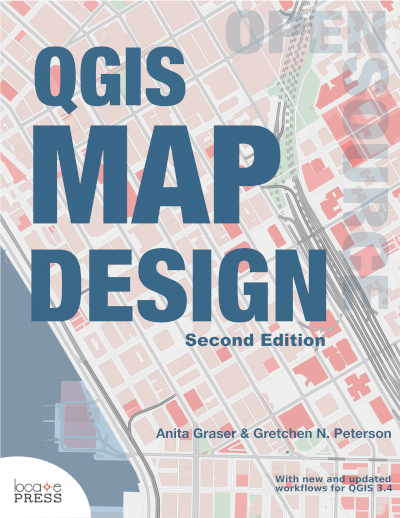 For the latest installation instructions, please see the official QGIS Server documentation. QGIS Server can serve as many project files as you want. There are different ways to organize your server but I would simply add a new folder (like the “vienna” folder in this example) and link in the executable and project file. How great would it be if it was possible to define such styles in QGIS OpenLayers plugin too! 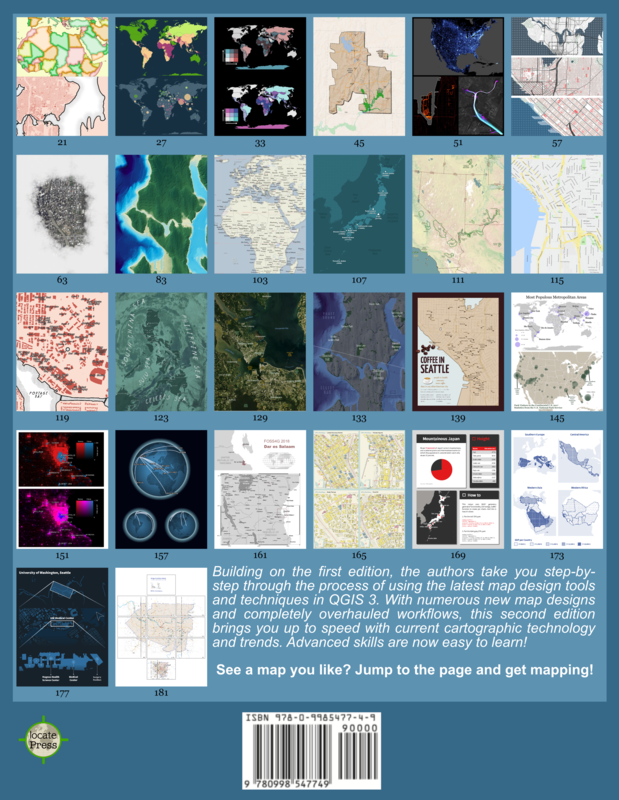 Yesterday, I picked up an interesting link on QGIS IRC: mapbox.com – “Create beautiful custom maps using open source tools in the cloud”. MapBox provides open source tools and services for creating and using custom maps. They also design tilesets and host them for free. Currently, there are tiles featuring world maps, maps of the U.S., Haiti, Iraq, Pakistan and Afghanistan. Try it out yourself using the Live Demo. You find the project’s homepage at Sourceforge.